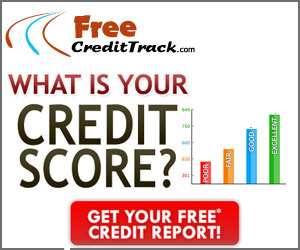 FreeCreditTrack is a popular online credit report website. 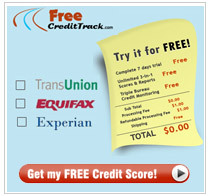 They make it fast and easy to get your credit report online. All it takes is a short form for some information to verify who you are and you'll get your actual credit report instantly. You'll get a credit report from the 3 main credit bureaus. When you get your free credit report with FreeCreditTrack, you'll also get a free trial to the Triple Bureau Credit Monitoring. What this does is it notifies you of any changes made to your credit report and who has viewed it. This is a very important way to help prevent someone from taking your identity and ruining your credit.